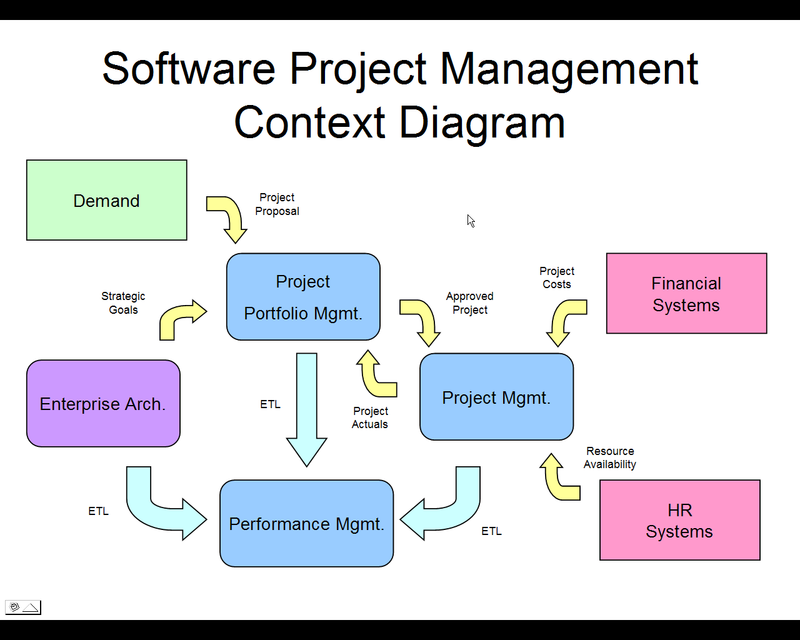 Effective software project management focuses on the four P’s: people, product, process, and project. · The cultivation of motivated, highly skilled software people has been discussed since the 1960s (e.g., [COU80], [WIT94], [DEM98]). · Before a project can be planned, product1 objectives and scope should be established, alternative solutions should be considered, and technical and management constraints should be identified. · Without this information, it is impossible to define reasonable (and accurate) estimates of the cost, an effective assessment of risk, a realisticbreakdown of project tasks, or a manageable project schedule that provides a meaningfulindication of progress. · The software developer and customer must meet to define product objectives andscope. · Scope identifies the primary data, functions and behaviors that characterizethe product, and more important, attempts to bound these characteristics in a quantitative manner. · Once the product objectives and scope are understood, alternative solutions areconsidered. · A software process provides the framework from which a comprehensive plan for software development can be established. · A small number of framework activities are applicable to all software projects, regardless of their size or complexity. · A number of different task sets—tasks, milestones, work products, and quality assurance points—enable the framework activities to be adapted to the characteristics of the software project and the requirements of the project team. · Finally,umbrella activities—such as software quality assurance, software configuration management, and measurement—overlay the process model. · Umbrella activities are independent of any one framework activity and occur throughout the process. · We conduct planned and controlled software projects for one primary reason—it is the only known way to manage complexity. And yet, we still struggle. · In 1998, industry data indicated that 26 percent of software projects failed outright and 46 percent experienced cost and schedule overruns [REE99]. · approach for planning, monitoring and controlling the project. · “you need an organizing principle that scales down to provide simple [project] plans for simple projects.” Boehm suggests an approach that addresses project objectives, milestones and schedules, responsibilities, management and technical approaches, and required resources. · Why is the system being developed? The answer to this question enables all parties to assess the validity of business reasons for the software work. Stated in another way, does the business purpose justify the expenditure of people, time, and money? · What will be done, by when? The answers to these questions help the team to establish a project schedule by identifying key project tasks and the milestones that are required by the customer. · Who is responsible for a function? we noted that the role and responsibility of each member of the software team must be defined. · Where are they organizationally located? · How will the job be done technically and managerially? Once product scope is established, a management and technical strategy for the project must be defined. · How much of each resource is needed? The answer to this question is derived by developing estimates based on answers to earlier questions. Boehm’s W5HH principle is applicable regardless of the size or complexity of a software project. The questions noted provide an excellent planning outline for the project manager and the software team.